Stylist enhance your hair’s depth, shine, and vibrancy with highlights and other coloring treatments. Come over to our hairsalon in Krakow! Sombre is a kind of hair coloring, which gives a very natural effect. Sombre is softer and more subtle form of coloring type of ombre. Ombre coloring, for the record, consists of granting shades of hair to the scalp in very clear way. In principle, the difference in the color of the hair at the head and at the ends is pretty evident. Colouring sombre assumes that the difference between a darker shade of the head is not so obvious, because it is only a difference of two – three shades. That is why this type of coloring is suitable for all hair colors from dark brown, red until blonde. It is worth to mention that sombre has another big advantage: it makes the hair become optically volume. This is due to the delicate gradation of shade on the length of hair. Another improvement of this type of coloring is that your face will look brighter, younger. Why? In practice, this means that the hair is not lightened only compartments along the length of the hair, but around the whole head (which is also on the forehead, the temples and the hair of the neck). This contour coloring looks very natural. 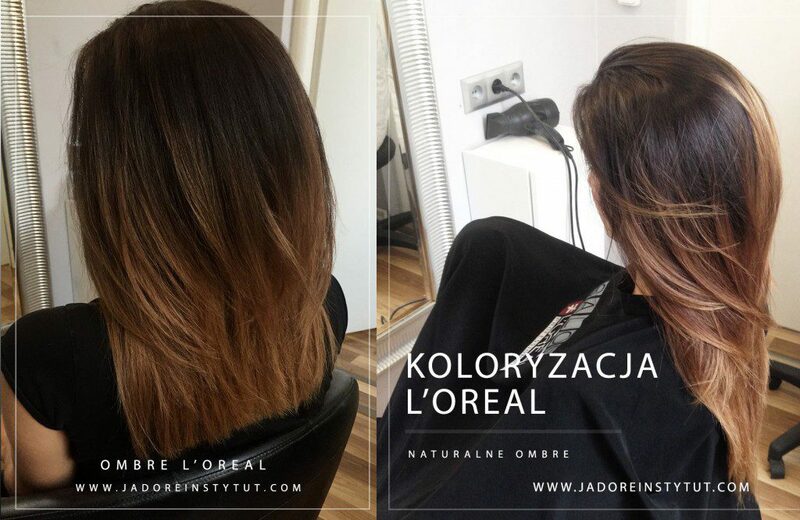 Ombre is a method of lightening the hair, which consists in applying brightener on the ends of the hair. The resulting effect is to give the appearance of natural hair bleaching by the sun. Therefore ombre looks best when it is discreet. Smooth transitions on the hair adds delicacy and rejuvenate. It is therefore important decision – you want to look like a star, or would you rather nicely emphasize the naturalness of his looku by pulling out the nature of the hair. All the ladies preparing for such an important event like a wedding, prom or important event, please use the service to pamper yourself! With our service you will look beautiful! The treatment is designed especially for weak hair due to styling, coloration, modeling or external factors such a sun, water or wind. 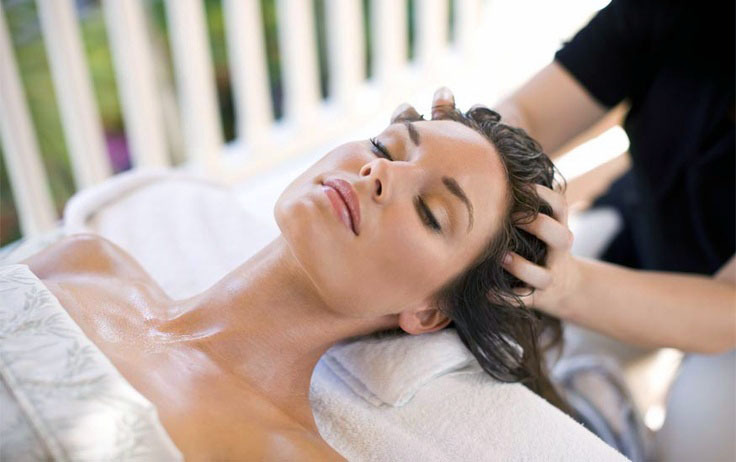 The service starts with the massage of the scalp and applications of the specially selected nourish to the hair. It regenerates the hair on the lenght and the roots and eliminats the problems with dryiness, weakness and split ends. It strengts brittle hair. The treatment makes the hair soft, shiny and healthy and easier to style. Visible improvement of hydration and nutrition makes the hair flexible and increases their vitality. The procedure is performed using a sauna MicroMist ozonizing hair and regenerating their structure and Steampod. Cover L’oreal is a treatment deepening natural hair color, camouflagin gray band while maintaining the male character and appearance. 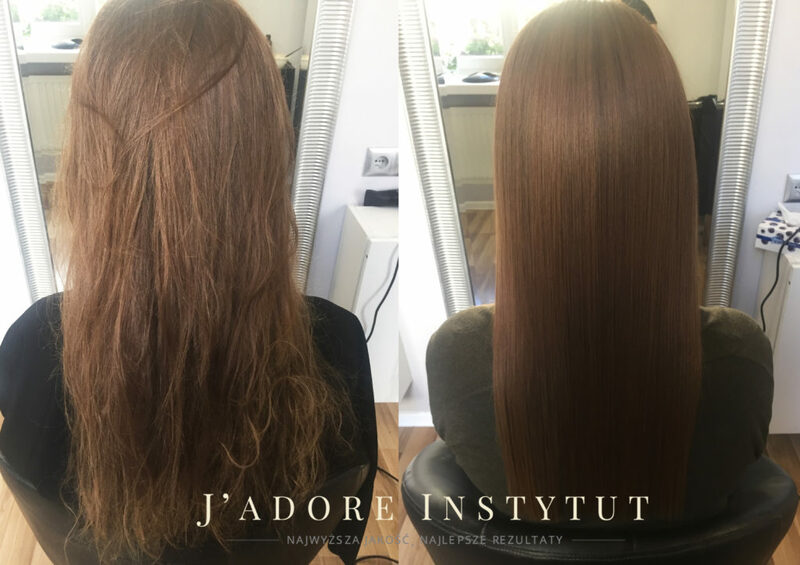 Keratin hair straightening is an intensive regenerating treatment, straightening and smoothing even the most unruly hair. Keratin perfectly regenerates even very damaged or strutting hair. Keratin hair straightening treatment makes the hair become smooth, simple, gain a healthy appearance. The treatment is based on injecting into the structure of the hair quality, professional keratin by using a hot iron. The use of high temperature causes the cuticle opens, used keratin penetrates the hair structure, causing its reconstruction – reconstruction and strengthening. The surface of the hair visibly smooth and healthy, frizz effect disappears. The effect lasts from 3 to 5 months. 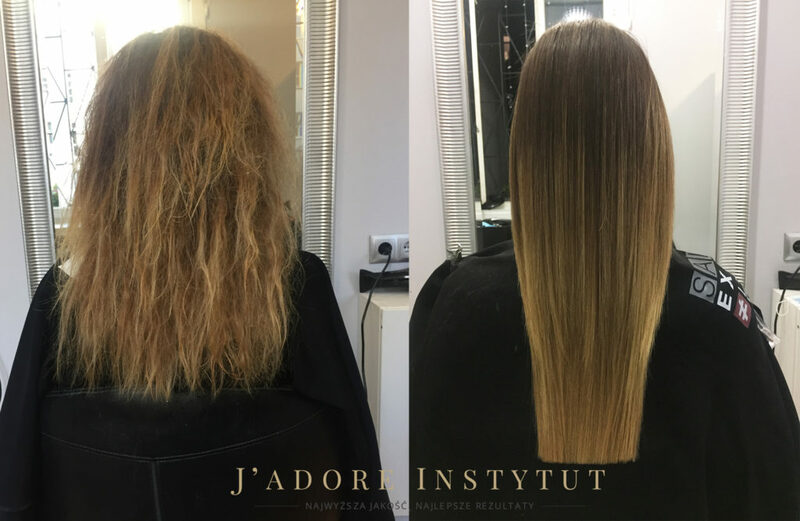 Beach Waves is the procedure of creating the effect of natural waves, twists – like “straight from the beach.” With this technique it is possible to obtain the effects of seemingly unruly waves, increasing the flexibility of the hair and rebuild the hair structure. The effect lasts about 8 weeks.